If you are adventurous enough to try something new then this ‘Boastful Bottle Green Fine Georgette Designer Asymmetrical Tunic for Fashionable Women’ from Snehal Creation is for you. Designed to have a regular ban collar that is decorated with exquisite thread embroidery in saffron. 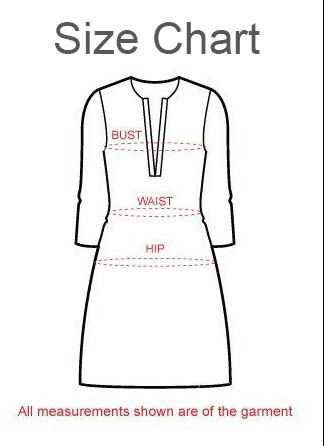 The silhouette of the tunic is asymmetrical with long sleeves and orange taping. You can rock it with a pair of contrast pants.